Dubai, UAE – The need for a standardised Halal food sector was highlighted in the recent Global Islamic Economy Summit, where it was revealed that the global Muslim population has the highest spending on food and beverage. mson Reuters, ‘State of the Global Islamic Economy Report 2016-2017’, Badri said Muslims globally had spent $1.17 trillion on food and beverages in 2015, ahead of China ($854 billion), the United Sates ($771 billion), Japan ($380 billion), and India ($341 billion).The $1.17 trillion figure represents 17 per cent of the global market spend of $7 trillion. Muslim spending on food and beverage is expected to reach $1.9 trillion by 2021, a CAGR of 9 per cent from 2015, the report further estimates. The Thomson Reuters report also highlights the rise in Halal online meal takeout and delivery platforms. Given the immense potential of this sector, several notable private equity investments were made last year, signaling increasing investor appetite for Halal food investments. There are several factors, however, that are hampering the sector in realising its full potential. One major barrier is the lack of standardisation in the global Halal industry. 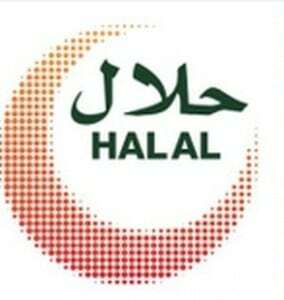 The World Trade Organization sees the proliferation of Halal marks from various countries as a trade barrier. Because there is no standardised set of requirements, business players have to fulfil long and complicated list of requirements resulting to hefty price tags of Halal products and confusion in the market. IHAF, the world’s first global Halal accreditation network, has begun laying down the foundation for standardising the criteria, streamlining processes and forging global partnerships to boost the Halal food sector. On November 6, 2016, IHAF’s 10 founding members will convene for a general assembly in the UAE to deliberate the drafted by-law. With an estimated global Muslim population of 2.8 billion by 2050 and an ever growing number of non-Muslim population keen in consuming Halal food, the industry is set to reap the benefits given the right drivers are in place as the IHAF pushes the Halal standardisation agenda forward. “A single set of standards and logo would be essential to fuel this growth. We all want to make sure that whoever certifies Halal food is doing it properly and is contributing to fair competition,” Badri added. IHAF is working towards creating a common platform wherein governments can discuss Halal standards, policies and regulation, and come up with mutual agreements. This will lead to signing of multi-lateral agreements among countries to break the barriers and the introduction and promotion of one single Halal mark, which will lead to harmonising Halal criteria and practices with one globally accepted mark within the industry. IHAF is pushing for the standardisation of criteria and requirements in an environment where there are various certification bodies. The organisation is in the process of forging agreements between countries to create one unified approach with an agreed standard that is expected to happen in a few years. IHAF is currently working with the 10 founding members that include Dubai Municipality (Dubai Accreditation Center), Emirates Authority for Standardization and Metrology (Emirates National Accreditation System), American Association for Laboratory Accreditation, Pakistan National Accreditation Council, Entidad Nacional de Acreditacion (Spain), GCC Accreditation Center, Saudi Accreditation Committee, United Kingdom Accreditation Service, Joint Accreditation System of Australia and New Zealand, and National Council for Accreditation Egypt. By creating a global network of accreditation entities and putting universal standards in place, IHAF is producing a host of benefits that ripple through the industry, from the government and the business community down to the public. « UK: Does Halal meat mean ‘animals are dying in pain’?